In 2013, 37 million Americans will receive Social Security (SS) retirement benefits totaling $47.4 billion. Clearly, Americans have come to rely on Social Security retirement income, with more than half of married couples and nearly three-quarters of unmarried persons receiving 50 percent or more of their total income from the program. Still, the SS system remains more complicated than you might expect. Unfortunately, there is no simple response to one of the most frequently-asked questions that I field: "When should I claim Social Security benefits?" The answer depends on your individual circumstances, but the good news is that there are a great many tools available now to help you navigate the process. First things first: to qualify for retirement benefits, you need to have worked at least 10 years. You can check out where you stand with Social Security's easy-to-use online benefits statement at www.socialsecurity.gov/mystatement, which is what you used to receive in the mail. (For those over 60, you should still be receiving paper statements via "snail mail.") The statement shows your annual earnings history, which is actually a helpful stroll down your employment history lane. Your statement will provide your estimated monthly SS payment at your "full" retirement age (FRA). Full retirement age varies on when you were born: if that was before 1938, your FRA is 65 years old; from 1938 to 1942, your FRA rises by two months for each additional year; between 1943 and 1954, it's 66; from 1955 to 1959, it rises 2 months per year; and from 1960 on, the age is 67. You can choose to claim benefits as early as age 62, but your benefit will be permanently lower - for some as much as 25 percent less. This is when the decision-making comes in. When does it make sense to file early? At your full retirement age, or should you wait until the maximum benefit age of 70? There are a number of tools that can help you crunch the numbers. AARP has a free calculator, and there are a several paid calculators that may intrigue you, including MaximizeMySocialSecurity.com, SocialSecurityChoices.com and SocialSecuritySolutions.com. Here's the general gist: delaying Social Security makes financial sense, with one caveat: You have to live long enough for the trade-off to work. In other words, if you knew when you are going to die, I could tell you when to file for SS! In essence, you make a bet on your life expectancy in deciding on when to file. If you delay retirement until after your full retirement age, you are entitled to "delayed retirement benefits," or 8 percent a year more for each full year that you delay, until age 70. Sounds like a sweet deal, but of course you are not receiving the monthly income for those years. Here's how the numbers break down: if you live beyond 78, it makes sense to forego SS between the ages of 62 and 66; if you live beyond 82 1/2, it makes sense to delay SS until the maximum level, at age 70. You may be wondering, "How do I know when I'm going to die?" You can take an educated guess based on your general health and your parents' health, or you can plug in your personal information at www.livingto100.com, which may help you get closer to a more data-driven number. These mathematical acrobatics could be moot for some people who lost their jobs sooner than expected and desperately need income. If you do claim benefits early and then are lucky enough to land a job, you will be subject to an annual "earnings test," or threshold, which for those people reaching FRA after 2013 is $15,120, and for those reaching FRA in 2013 is $40,080. 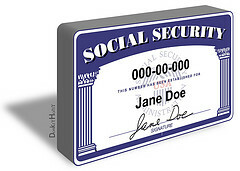 Social Security withholds $1 for every $2 earned above that year's threshold, until you reach full retirement age. The ratio changes to $1 for every $3 earned during the year you reach full retirement age. It may seem complicated – and it is … it’s Social Security! – but doing your due diligence on when to claim benefits can make a huge difference in your financial comfort during your golden years.